From the chaos of Addis Ababa to the remote Honduran countryside, we’re working in four different countries to support children affected by poverty. We allocate resources to projects working with some of the poorest communities in Ethiopia, Kenya, Honduras and Guatemala. Many of the children we support have experienced or are at risk of experiencing malnutrition, violence and trafficking. We only work in countries where we have strong partnerships on the ground with local schools and charitable organisations. And we’re working increasingly hard to make our projects fully sustainable. Despite its recent economic boom, Ethiopia still remains a very poor country. The average parent earns just $1 a day and only a fraction of children attend primary or secondary school. 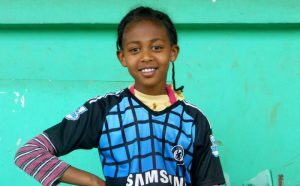 We’re working in Addis Ababa and the surrounding area to encourage learning through regular football sessions. In Kenya, we’re working to help relieve some of the pressures faced by young people living in extreme poverty. 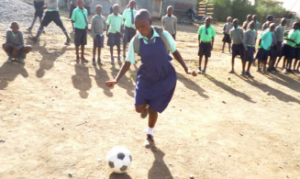 Our football programme at the Giotto dump site gives school children a break from their difficult lives whilst teaching them about social and health-related issues. Violence against children is rife in Honduras. The country, often referred to as the homicide capital of the world, has unprecedented levels of crime, gang warfare and trafficking. We’re working with a street outreach charity in the capital and at schools in poor rural communities to give vulnerable children the opportunity to learn and play. In Guatemala, girls are disproportionately affected by poverty, trafficking and abuse. We’re working to give young victims of sexual trafficking in Guatemala City the skills and confidence to move out of poverty.